Welcome to CPL Online, the only peer-reviewed electronic journal dedicated to the teaching and learning of Latin and ancient Greek. 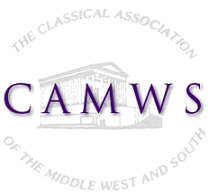 Published by the Committee for the Promotion of Latin (Classical Association of the Middle West and South), the journal addresses the interests of all Latin and Greek teachers, graduate students, coordinators, and administrators. CPL Online welcomes articles offering innovative practice and methods, advocating new theoretical approaches, or reporting on empirical research in teaching and learning Latin and Greek.